This is a full renovation in every aspect of the word! 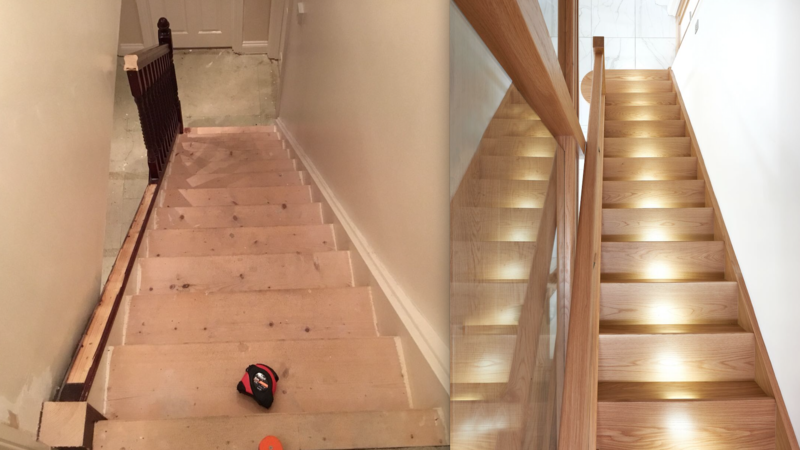 The existing staircase has been fully upgraded with new posts, glass balustrade and oak treads and risers complete with LED downlights. Our treads have a slip resistant finish which means even Mitzy, the family dog, now enjoys an adventure upstairs. Our old stairs were covered in carpet which needed replacing, as did the wood which was very dark and old, so we started to look on the internet for ideas. Friends had told us about Jarrods so we thought we would ask for a quote to have just wooden stairs without any carpet. The designer in our area Lauren came to show us various designs and advise us on what options we had. She was so professional, fully informed and extremely efficient. We were all very impressed with the look of the products available and the service. We are delighted with our new staircase. It has transformed our house and yes, we would absolutely recommend Jarrods! 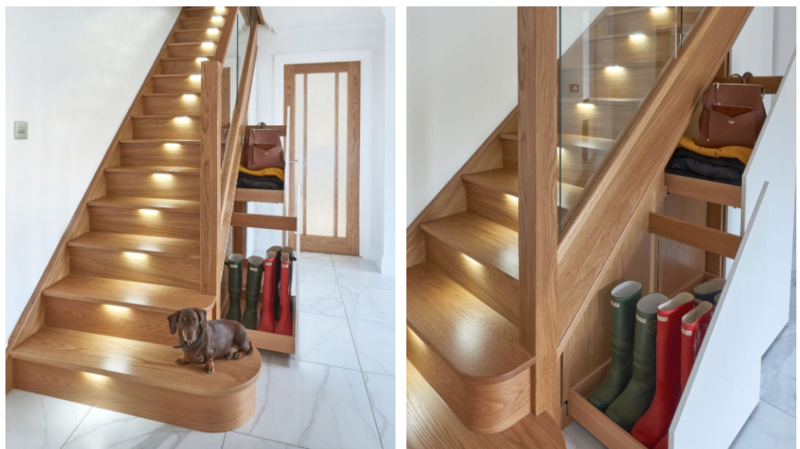 The amazing transformation featuring American oak, glass and high-glass under stair storage. The Powlings hallway is transformed. With racks of storage, muddy boots and shoes are kept nearly away leaving clean lines and more space for Mitzy to run around! 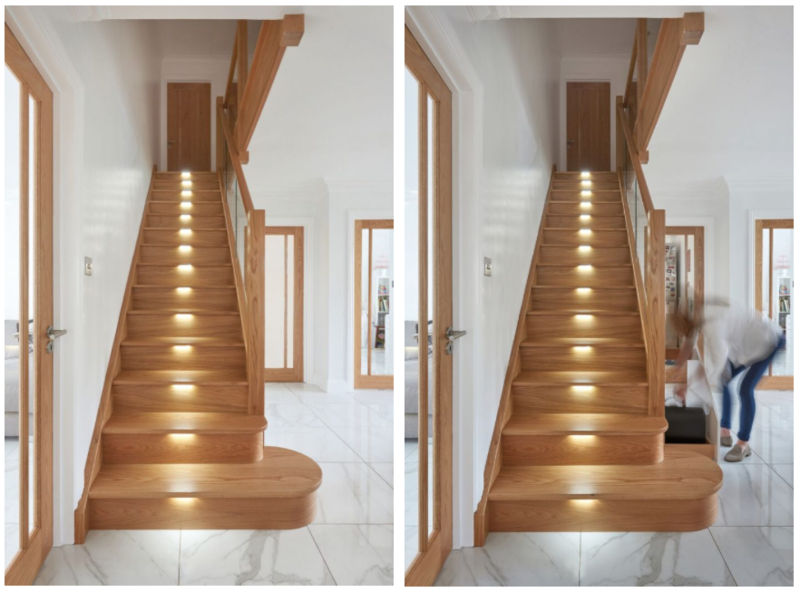 Fitted LED lights running up the staircase add extra warmth to the aged oak. 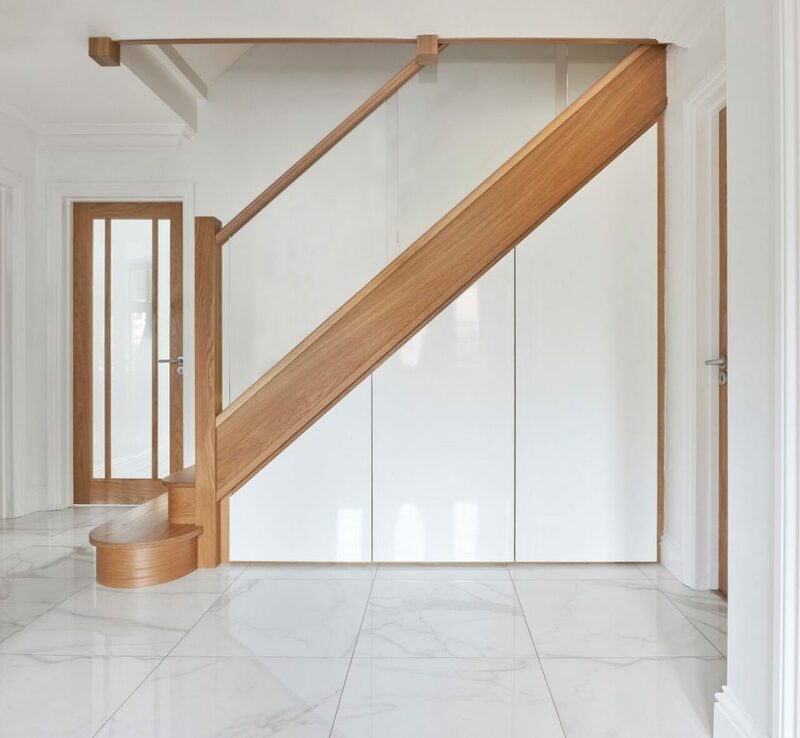 If you’d like to discuss your staircase renovation, then take the first step and contact one of our team today here. Steel yourself Do you love unique?